Voldemort, I think that you are really freakin’ awesome. One of the best things about music is its ability to discuss just about any subject. You can sing about anything that has ever occurred to you. And one of the best genres of music is fan music––music that discusses the art works we know and love such as books, poetry, photography, and paintings. An entire subsection of the fandom genre is aptly titled “wrock.” WizardRock, or Wrock, is a genre that is composed of fan music discussing the wizarding world of Harry Potter. I know, this sounds ridiculous. Trust me, it is quite popular. And for those who are fans of Harry Potter, it is one of the many ways to extend their knowledge and their fandom. As a huge Harry Potter fan myself, I have always loved Wrock. 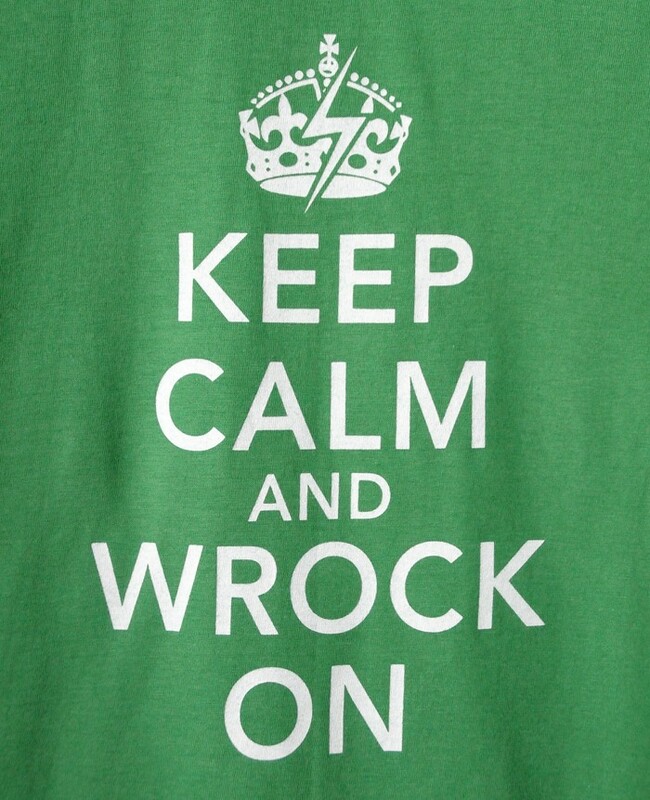 I even have a bright green tshirt that says “Keep Calm and Wrock On.” Unfortunately, I wore it to class a few times freshman year…and no one really got it. Explaining it was embarrassing and awkward. But surely there are others at Linfield who like fandom music?! It isn’t all this ridiculous. Okay, that’s a lie. It kind of is. But this genre, like any other, has all sorts of talent levels and many different artistic takes on Harry Potter’s themes. It also has some nice deviances from canon, such as the song above. Featured photo is an original tshirt design from the evietees shop on Etsy. It’s the same shirt I bought from her! 14 Mar	This entry was published on March 14, 2013 at 12:46 AM and is filed under Music, New Music Mondays. Bookmark the permalink. Follow any comments here with the RSS feed for this post. I’m speechless. Or maybe just clueless. The things are learn from these blogs are sometimes stunning. The layout here, using the shirt as a banner, works really well, like proclaiming the territory. Collapsing several tunes into a playlist also helps to economize on space int he post. Very clever. As for the individual tunes, and the genre as whole, it’s a most interesting mashup of home music production and fan content. Wow.